Bethesda and Arkane have been careful, in the past, not to show off too much of Prey's intro sequence, but if you want to spoil the very beginning of this promising immersive sim-ish sci-fi game, you can now do so via an officially released YouTube video, below. The first 35 minutes and 38 seconds of Prey are yours to gawk at in 1080p and at 60fps, without the bother of having to control the game and discover these moments for yourself. 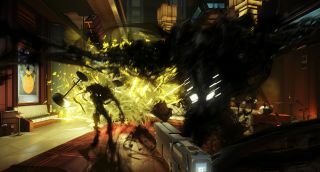 Joking aside, it's good that footage of Prey has so far been restricted to its earliest moments—by the time Arkane's Dishonored 2 was out, pre-release media had already spoiled most of its best missions, including content from later in the game. Hopefully that won't happen with Prey, but as it's not out until May 5, there will surely be plenty more trailers to come before its release.